Heavy Planet : News, Album Of The Week and More!!!! News, Album Of The Week and More!!!! I'm back!!! Check out the news below and the awesome Album Of The Week! Stay tuned for some great "New Bands To Burn One To" such as Sun Gods in Exile, Scant Mirror, Centrifuge, Catapult The Smoke, and Caestles. In the meantime, here is a great album for you guys to download for free. 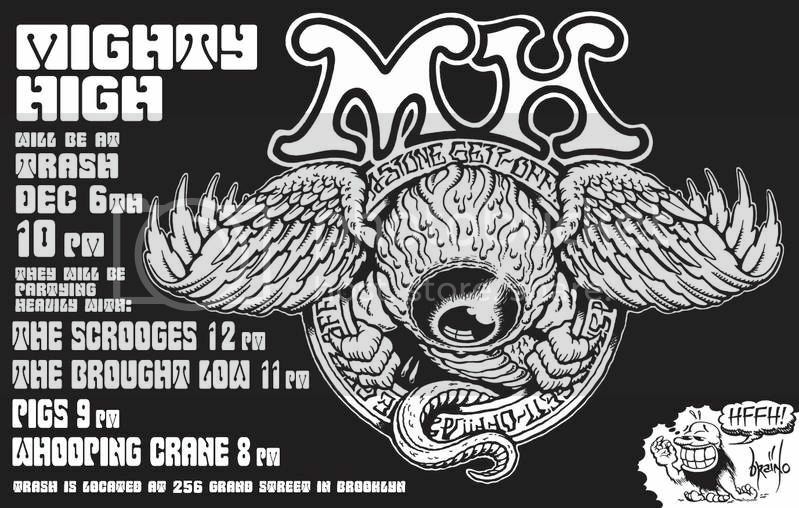 It is from a band called Mighty High which I featured as the "New Band To Burn One To" on March 22, 2008.